Thank you so much Amy for hosting this wonderful event for our community. 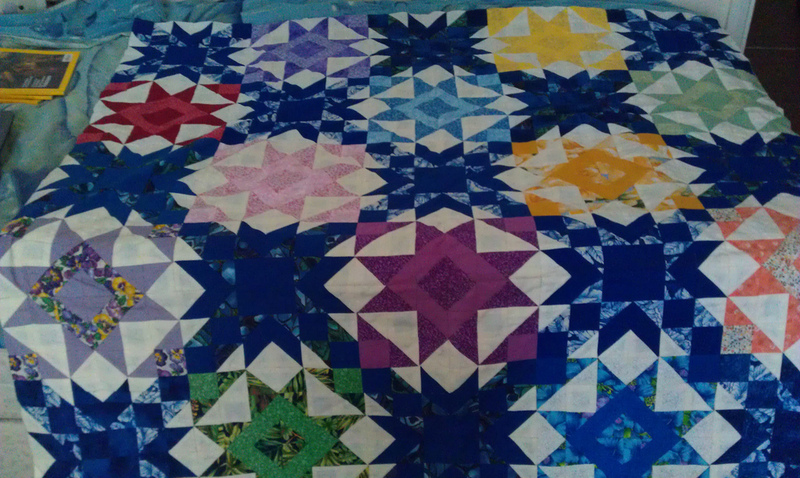 For this year’s entry into the scrappy quilt category, I have choosen my Diamonds in the Sky quilt. It’s not my first ever completed quilt, but it is certainly my favourite! I had only been doing patchwork/quilting for about a year or so, when an acquitance of my mum’s gave me a black bin bag or 2 of her dress/clothes-making scraps. I first sorted through the mountain of scraps, and whilst sorting, I began to wonder what on earth I was to do with all those scraps. Scrappy quilts are my personal favourite type of quilts. It was becoming obvious that I had to do a scrappy quilt. The hardest bit is the choosing of both fabric and pattern/design. Going scrappy is a cop out really; it’s just using what you have left over from other projects, even those ugly/brown/not-my-cup-of-tea fabrics mixed in with the pretty stuff. Not all the fabrics were from that forementioned mountain of scraps, some came from my then very small stash — some I wouldn’t choose now, lol. Next was the design bit. Oh heck! 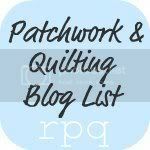 I don’t have many quilt/patchwork books. But I do have one which I would consider my go-to book is Donna Lynn Thomas’ Scrappy Duos. Out of the 20 traditional blocks in the book, I chose to use Card Basket and Starry Splendor. I chose to control the scrappiness a bit, by making the Starry Splendor blocks in one colour, with the Card Basket blocks being scrappy. The quilting took me over a year to do by hand. Amazing! I would never have the patience to quilt by hand for an evening, let alone a year. Very pretty! Lovely use of value. That is a gorgeous quilt! 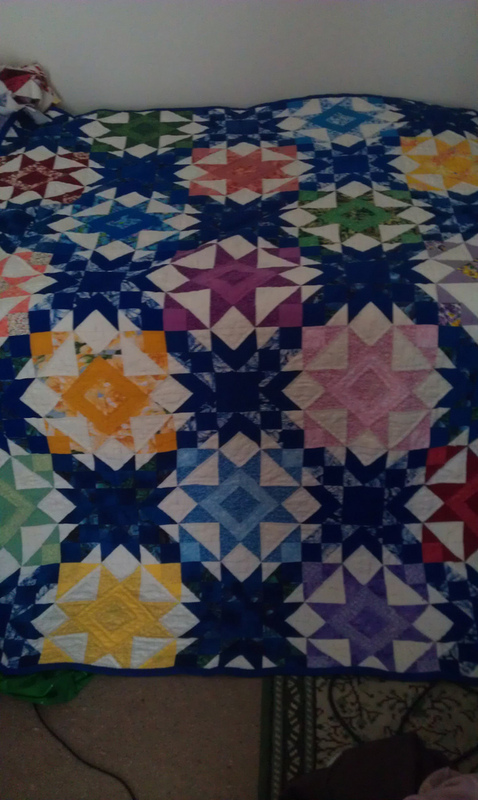 How nice that it is hand quilted too. I think it makes it extra special. Love it! This is beautiful! The contrast is so colorful! I can easily see why this is a favorite! This scrappy just sings! Beautiful!